HOW MUCH IS YOUR INSTRUMENT OR BOW WORTH? Price Reference Guide for fine stringed instruments and bows. The NEUE TAXE is an up-to-date online Price Reference Guide for fine stringed instruments and bows. It is constantly being revised and updated through newly available information and data received by our experts and consultants and thus offers a fast and reliable assessment for all interested parties worldwide. PLEASE NOTE: As opposed to other price guides, the prices on NEUETAXE.COM represent our assessment "from - up to" only for stringed instruments and bows that our experts consider as exceptional, 100% genuine examples, with supporting documentation, and which are in excellent to pristine condition. However, even such instruments range in value depending on various criteria, including sale location and currency fluctuations, as well as sellers' subjective opinions. Dmitry Gindin is a world-renowned expert, consultant and appraiser of fine stringed instruments. He is also a co-founder of Tarisio Auctions. His publications and articles for Cozio's Carteggio as well as the Strad magazine have contributed to better awareness in the field. 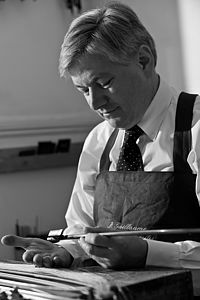 Pierre Guillaume is a bow maker and a leading authority for the evaluation of fine old bows for stringed instruments. He was trained as a bow maker in Mirecourt, in the French tradition of the last great workshops of Bazin, Morizot and Ouchard. 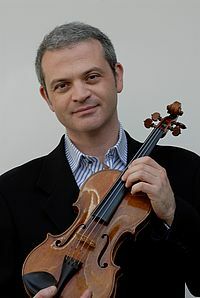 Since 1998 he has been a member of the International Association of Violin and Bow Makers and has been working as an expert to the Public Prosecutor’s Office in Brussels. 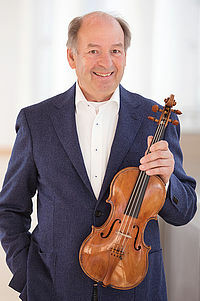 Rolf Eckstein descends from a familiy of violin lovers and collectors and was the first to develop a passport for instruments and bows. He is one of the leading dealers for fine instruments and bows worldwide. 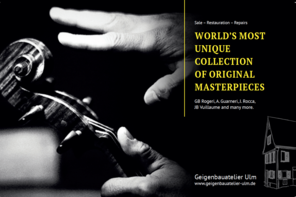 Renowned orchestral musicians and soloists as well as collectors from all over the world are among his customers.